He is the father of the penguin that disturbs the internet world and has created one Tencent kingdom that has an extremely wide business range. He is called by people as the god of imitating... 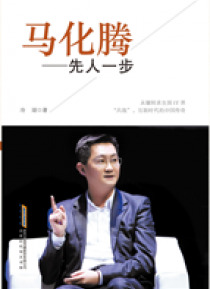 He is Ma Huateng, the spokesperson of Tencent. He has an elegant appearance and ironed-heart. As the instant communication software with the largest number of clients in the world, Tencent has become the ap… plication mostly used in Chinese netizens' online life. However, this penguin has suffered huge dangers in its rising process: fighting with MSN, conquering the portal website Sanxiong, fighting in the fierce war of online games, chasing after Taobao, competing with Baidu and supporting the taxi-hailing software... Wherever Ma Huateng is, he can lead the team to march forward bravely with prudence, acuteness and the bravery of killing with one act. He has not only avoided falling behind, but also created the brand's winning strategies of learning and improvements, making himself the commercial legend of the penguin kingdom.